In a surprising move, Benfica has signed Rui Fonte from La Liga side Espanyol on a four and a half year deal. 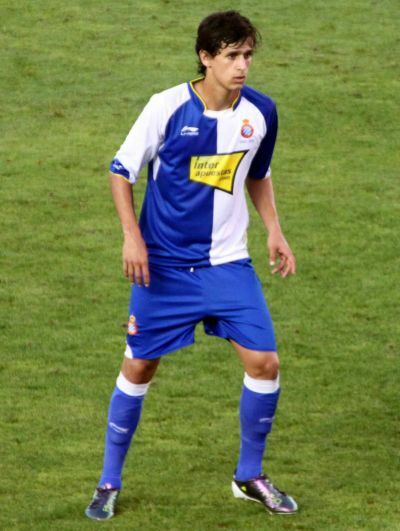 Fonte moved to Spain in 2010 on loan from Sporting Lisbon, and impressed at Espanyol’s B team. His performances were enough for the Spanish club to purchase him outright. He appeared 17 times for Espanyol last season, scoring once, but has since fallen down the pecking order. Earlier this season, it became clear that Fonte would not be an Espanyol player much longer, and he was put out on the market. This move comes as a surprise, as there was no talk of it beforehand. It just came out of the blue. Regardless, Fonte will be an eagle for the next four and a half seasons.